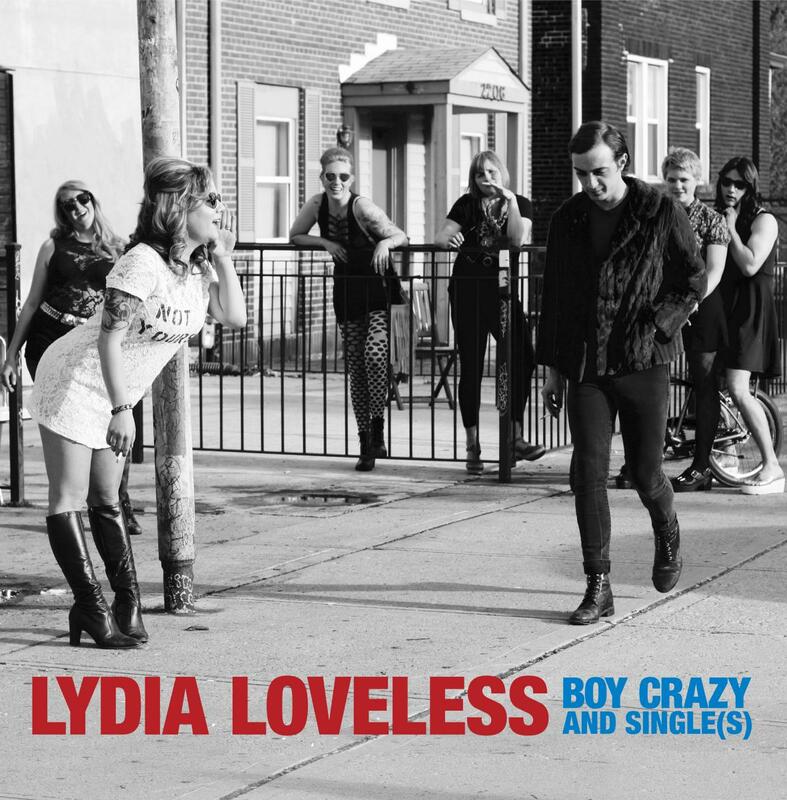 Collection of Lydia Loveless’s summery 5-song EP Boy Crazy, on vinyl LP for the first time, plus six non-album singles and B-sides. A new collection of Lydia Loveless’s summery 5-song EP Boy Crazy, on vinyl LP for the first time, plus six non-album singles and B-sides, including original songs in addition to inventive and bare-bones covers of Prince, Elvis Costello, and Kesha. The recordings span from 2012 to 2015; many of which are on CD and LP for the first time. The first pressing is on transparent beer yellow colored wax. Lydia and her band "rehearsed for about a week and then went into the studio with a couple thirty packs" when they recorded Boy Crazy, after all. Boy Crazy is Lydia Loveless’s "rock and roll tribute to baseball pants and youth." Featuring sun-washed, rebel-powered pop songs presenting a conversation about judgment and loss of innocence, as one transitions from good old American naivete to you-should-know-better "wisdom." These songs see Lydia and her band roping in their signature twangy, pedal steel-laden rock beat-em-ups and tying them tightly with the crisp Southern air of Tom Petty and the Heartbreakers' Damn the Torpedoes and the snarling-but-sweet delivery of Juliana Hatfield's heyday. It's a summer set that arrives a little tardy this year, just in time to prolong those long, buzz-chasing July days when you hang out where you know you aren't supposed to. This time, you just don't care about getting caught. From the first notes of “All I Know,” it become quickly obvious that we are in the presence of greatness, witnessing the rise of indie music’s next big star. This one is a requirement for all serious music lovers – Get. It. Now. Loveless’ defiant vocals, matched with the power-pop guitar of Todd May and the aching pedal steel of Jay Gasper reminds you a bit of those great Carlene Carter records with Rockpile back in the day – what’s not to love? The point where she grew from a promising alt-country artist to a major singer/songwriter who was maturing past the boundaries of the genre...a great document of a singular artist hitting her stride. On Boy Crazy and Single(s), Loveless reminds us that she’s earth, air, and water, too, not some intangible elemental force, but a real human being. She does this not just through her songwriting, but with a handful of covers to supplement it. Drum-n-bass, nu-disco, and '90s-Chicago-style house versions of a Lydia Loveless song. Yes, you read that correctly. We can't believe it either. Digital single featuring a previously unreleased song and Lydia's stark, gripping take on...ahem...Justin Bieber's pop phenomenon "Sorry"
Struggles between balance and outburst, infectious choruses fronting emotional torment are sung with a sneer, a spit, or a tenderness and openness that is both intensely personal and universally relatable. It is, as the title suggests, real. Side A is "Mile High" a non album track of Lydia's own concoction. Side B is a Ke$ha song that LL loves. We didn't even recognize it at first – just figured it was another killer Lydia cut. Features a stop-the-room-in-its-tracks version of Elvis Costello's "Alison."